When Bart got a credit card he tried to buy this comic collection at Android's Dungeon & Baseball Card Shop but Comic Book Guy thought his credit card was fake so he could not buy the comic. 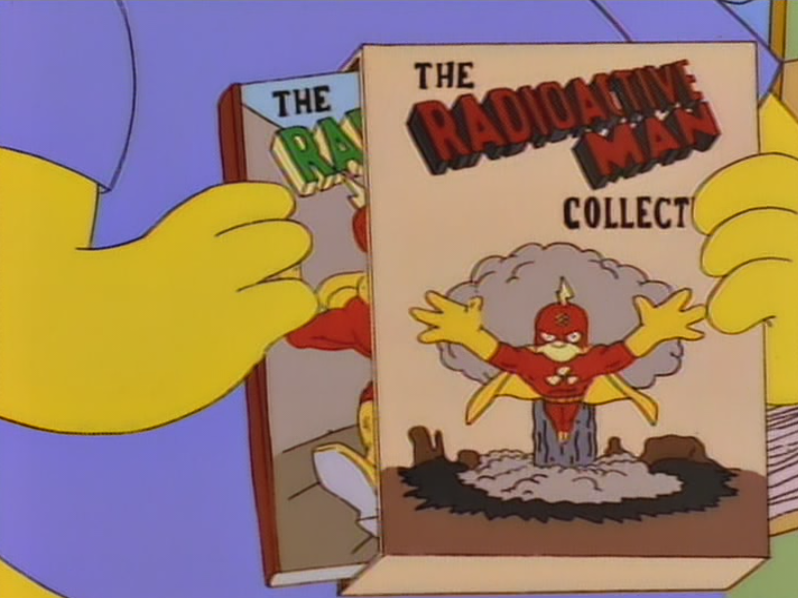 In Volume Two of the collection, Radioactive Man travels through time to defeat Jesse Owens at the 1936 Olympic games. Modified on December 8, 2012, at 14:43.